According to a 2014 study by Stanford University, 4% of all Brew Masters are Women. The beer industry has been historically dominated by men. However, the Brewers Association, a non-profit organization of American brewers, revealed a growing popularity of beer among women. 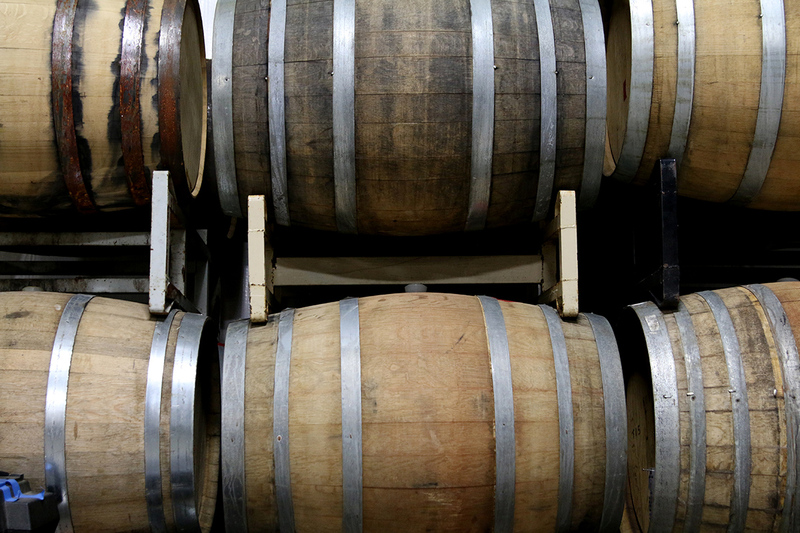 According to their 2014 report, women consume almost 32 percent of craft beer by volume. Another research project demonstrated that women are not only increasingly drinking beer, but are also brewing it. A 2014 study conducted by Auburn University found that women account for 29% of brewery workers in the United States and are beginning to play a much larger role in the craft brewing industry. However, women are still underrepresented as head brewers. In 2014, a study by Stanford University found that out of 1,700 active breweries surveyed, only 4% had a female head brewer or brewmaster. 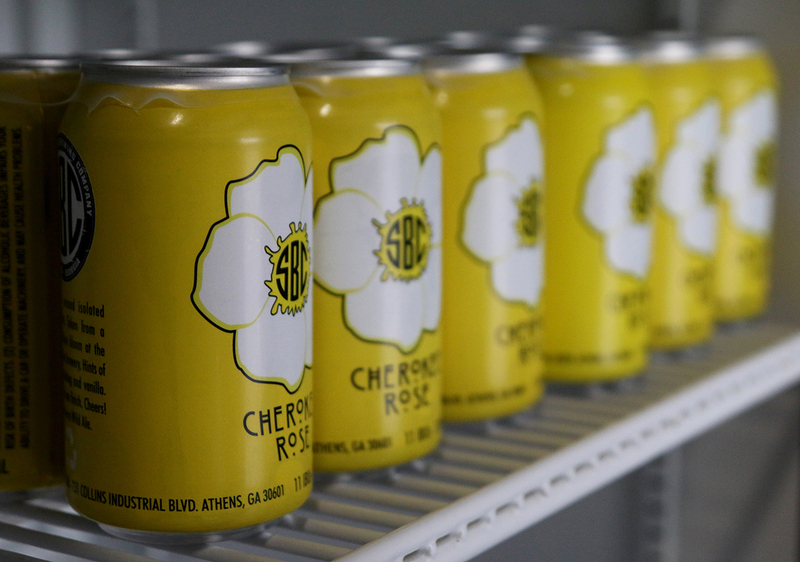 Men in the craft brewing industry, like Brian Roth, the co-owner of Southern Brewing Company (SBC) in Athens, Ga., are recognizing women’s growing interest in the industry and showing support. 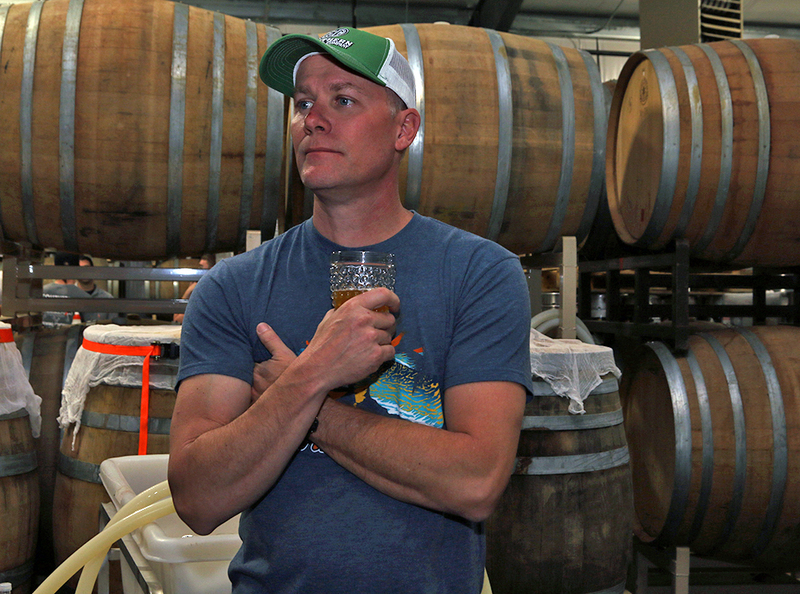 Roth co-owns the brewery with his buddy Rick Goddard, but his wife Jen Roth is also involved. In the early stages of SBC, she helped her husband with anything from mopping the floors to running the register to budgeting for the brewery. Today you can find her working behind the scenes to make sure everything runs smoothly. “We wouldn’t be open if it wasn’t for 5 women – Jen included,” Roth said. "Beer is science, science, science," said Allyson Hester, Tour Manager at The Southern Brewing Company. Although SBC employs women on their tour staff, like many breweries, they do not employ a female brewer. “A brewster is a female brewer, so females have brewed for 4,000 years or more before the guys,” said Sara Gayle McConnell, co-owner of Tradesman Brewing in Charleston, S.C.
She and her husband Scott opened Tradesman Brewing in April 2014, offering intriguing flavor profiles like a bright pink beer brewed with beets and ginger. According to an article in The Atlantic, historically, women brewed and served beer to their communities. The article states that over 4,000 years ago in ancient Egypt, beer was produced and sold by women. When the United States was first colonized in the late 1400s, women took on the role of brewers in society. The article further describes that when the Industrial Revolution struck in the 1800s, men began to realize the business opportunities that came along with the beer industry and slowly took over women’s roles in brewing. As soon as brewing became a business, it turned into a boy’s club. Today, women’s role in brewing might be changing. Brian Roth thinks that there are women in the craft beer scene who are making great strides. “I could point out many women in the industry that [are] doing incredible things and changing the industry in really incredible ways, but you don’t see it as much in the South,” Roth said. Roth explained that when women are exposed to brewing craft beer, that’s when they become interested in the industry. Jess Hurd, the only Brewster at Terrapin Brewing Company in Athens, Ga., explains the brewing process. One women in Roth’s network is Julia Rosenthal, co-owner of Pair O’ Dice Brewing Company in Clearwater, Fla.
Rosenthal and her husband opened the Pair-O-Dice Brewing Company on October 31, 2013. The brewery is currently a 15 barrel brewhouse with 30 barrel fermenters, a canning line, and a taproom. Rosenthal oversees sales, marketing distribution, the tasting room, and all other facets of the brewery. Of the seven employees that work at Pair O’ Dice, five of the employees are women. Rosenthal says that the craft beer industry is a boy’s club but attributes the lack of women in brewer roles to personal preference. Rosenthal doesn’t think that being a woman is the most important part about owning a business. Barrels at SBC that are used to age beer. "I think it would be great if people realized that you don’t have to have a neckbeard to brew good beer," said Sara Gayle McConnell, Co-Owner at Tradesman Brewing Company in Charleston, S.C.
Jess Hurd is the only female brewer at Terrapin Brewing Company in Athens, Ga., where she has been employed for the last nine months. Hurd thinks women are easing back into the industry but are still intimidated by the rough culture and masculine stereotypes that surround brewing. She also thinks they could possibly be deterred from brewing because of the heavy lifting that’s involved. Hurd has been brewing professionally for two years and finds that the industry, although it’s a lot of work, is rewarding. Once other women understand that Hurd thinks they will become more prominent in the industry. Terrapin Golden Ale beer being poured into a glass. Below is data pulled from Google Trends showing the growing popularity of the search team “Craft Beer” over the last five years worldwide. In March 2012, there were a little over 20 search queries, which by March 2016 increased to close to 80 search queries. On the other hand, Google Trends did not reveal any data on the search term “Women in Craft Beer” worldwide or in the United States over the last five years. Want to read more more about the people mentioned above?